I have been dowsing for over 40 years and am experienced in the use of a pendulum, dowsing rods and other dowsing tools. I am on the Professional Register of the British Society of Dowsers, and am also a member of the Feng Shui Society. 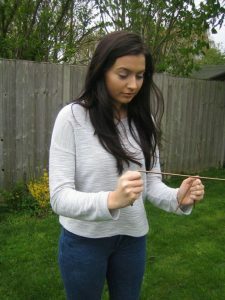 I use dowsing primarily to determine priorities for health treatment and to advise on detrimental energy lines which may be present in the house or workplace. In 2005 I set up a local dowsing group, called the Thames Valley Dowsing Group (TVD) which consists of members from all walks of life. We meet on a monthly basis for field trips and talks on dowsing and related subjects. We have a varied and exciting programme and welcome new members including beginners. TVD is affiliated to the British Society of Dowsers. Workshops and teaching sessions are organised from time to time on Dowsing and Feng Shui. To dowse is to search, with the aid of simple hand held tools for that which is otherwise hidden from view or knowledge. It is a way of using a natural sensitivity which enables us to know things we cannot know by the use of the day to day brain or by learning, by experience or by the use of the five physical senses. You may well have heard of “dowsing” or “divining” being used to find water, but dowsing is used for many other things, such as in the search for oil, mineral deposits, archaeological searches finding missing objects and in helping people to regain their health. Health practitioners use dowsing to indicate the nature of illness, allergies and intolerances and required remedies. 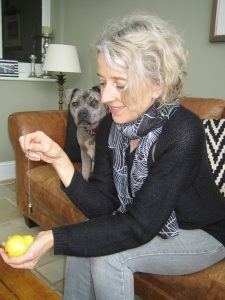 Dowsing can be carried out at a distance, and this particular faculty is frequently used by those practitioners using dowsing in the area of health when they are able to dowse for causative factors and suitable remedies at a distance from the patient using a photograph or “witness” on which to focus their attention.